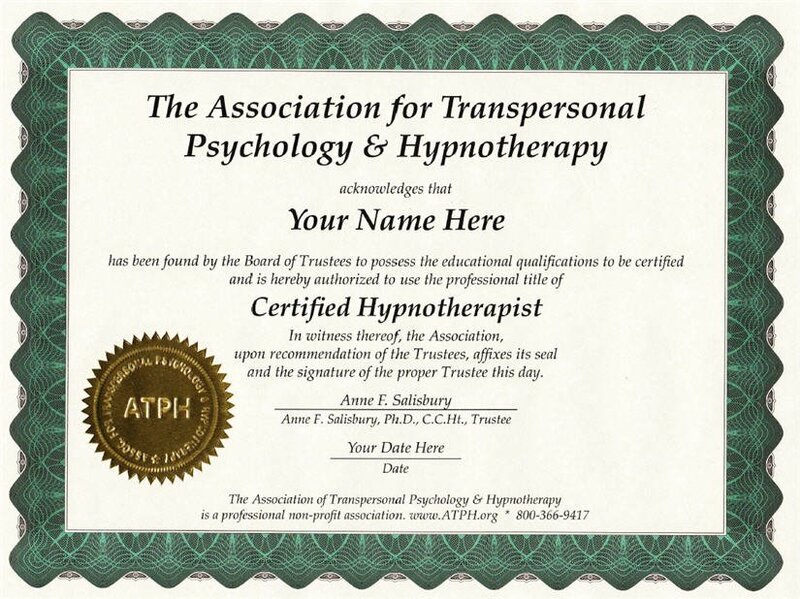 Receive certified hypnotist, hypnotherapist, clinical hypnotherapist certifications through distance learning education with THI. Certified Hypnotist: Upon successfully completing Fundamentals of Hypnosis (the 25 hour course) you receive the Hypnotist certification. 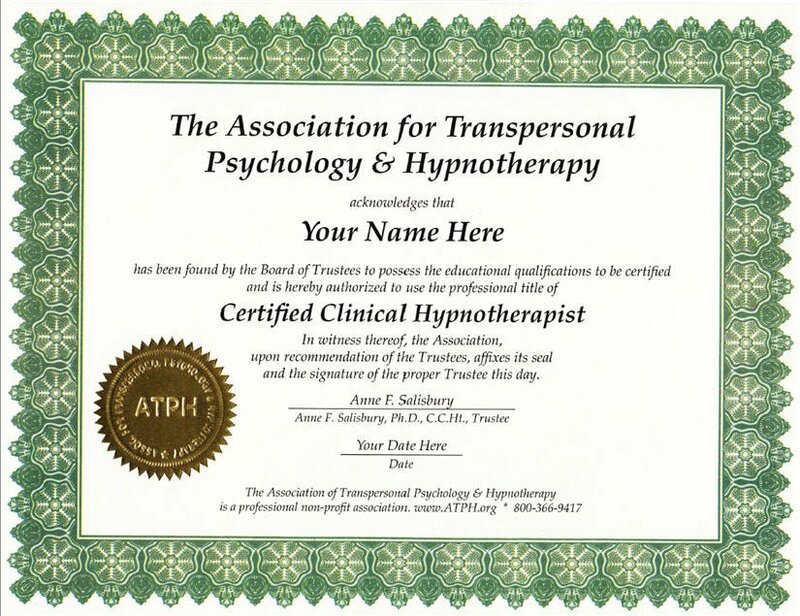 Certified Clinical Hypnotherapist: Upon successfully completing another 150 hours listed under Advanced Clinical Hypnotherapy Certification Courses you receive the Clinical Hypnotherapist certification. 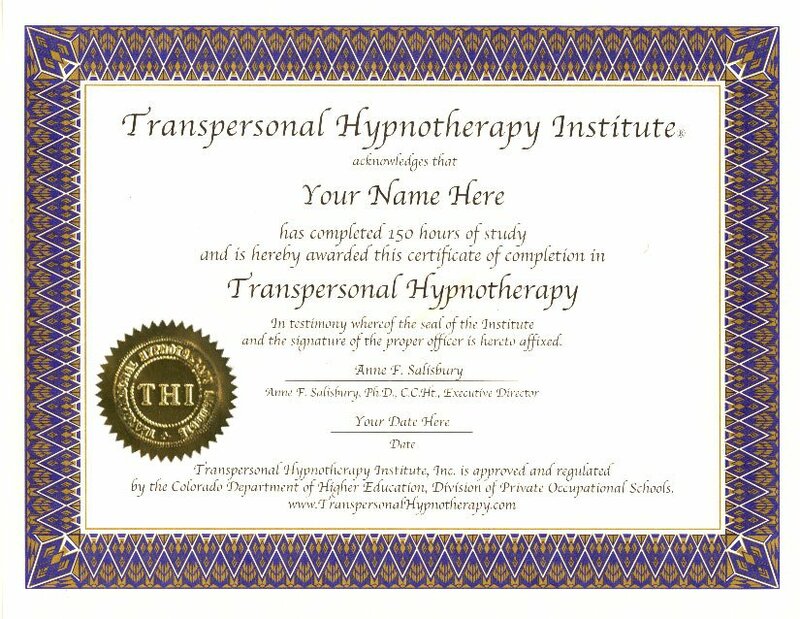 Transfer your hours: To determine a transfer of credits from another hypnotherapy school, contact THI. Click on the certificates for a larger view. Fundamentals of Hypnosis (25 hours) for the title of Hypnotist. 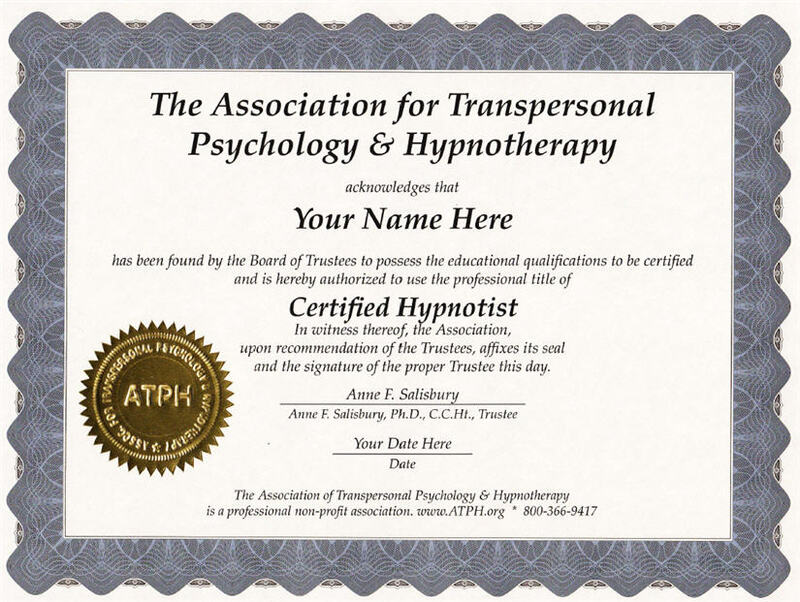 Transpersonal Hypnotherapy (150 hours) for the professional title of Transpersonal Hypnotherapist. 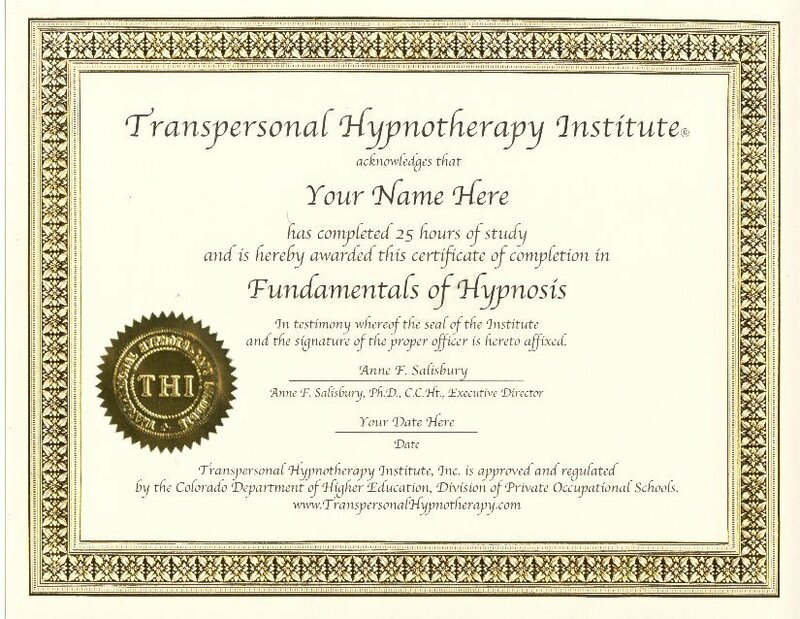 (50 hours) for the professional title of Medical Hypnotherapist. (25 hours) for the professional title of Past Life Regression Hypnotherapist. (15 hours) for the professional title of Past Life Regression Hypnotherapist. (25 hours) for the professional title of Hypnotist. (50 hours) for the professional title of Transpersonal NLP Practitioner.